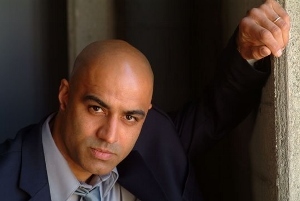 Recently I had the opportunity to talk with actor Faran Tahir about his upcoming role in Neill Blomkamp’s sci-fi action epic Elysium, in which he plays the president of a utopian space station. The film stars Matt Damon and Jodie Foster. We also discussed his role in the highly-anticipated Sylvester Stallone, Arnold Schwarzenegger team-up, Escape Plan, opening this fall. The bulk of the interview can be found over at The Morton Report, but I was sure to reserve a few choice bits for Cinema Lowdown. CINEMA LOWDOWN: I can’t wait to see Elysium, what can you share about the film? FARAN TAHIR: Elysium is not going to disappoint people. The experience of working on it was great because I also liked the script a lot. CL: You’ve mentioned the complexity of the characters, the “shades of gray” that allow audiences to form their own perceptions. FT: As an actor it gives me the freedom to create a character without decided from the beginning, “Oh, this guy is the bad guy and therefore I must play the counter to the good guy.” It’s an interesting way to go about it. Again, [director] Neill [Blomkamp] is one of those guys who is very laidback, but has amazing focus in his vision. He will let the actors get to where he wants them to in an organic fashion. He has this way of inviting people to share his vision without having to spoon-feed it or shove it down their throat. CL: As much as I’m looking forward to Elysium, as a Stallone fan I’m even more excited to see Escape Plan. FT: It has all the testosterone and all that great stuff. CL: What was it like just being on-set with Stallone and Schwarzenegger? FT: When you’re on screen you do what you need to do. But when you’re sitting in your chair, watching these guys play a scene and create these characters, it’s quite a treat to be able to see both of them together. That is something that they have talked about pretty much throughout their careers. It never ended up happening except with little cameos or whatever, little scenes in The Expendables, you know. CL: What was the casting process like for you? FT: I had read for it I think two months before I was cast. I read for it and then I forgot about. I liked the script, I liked the character. And then all of a sudden I got a call that they wanted to go with me and I couldn’t have been happier. Then we started having meetings and started to flesh out the characters and off we went. CL: So it’s Stallone, Schwarzenegger, and you, all trying to break out of this prison. But the rest of the cast includes Jim Caviezel, Amy Ryan, Sam Neill, Vincent D’Onofrio, and Curtis Jackson, aka 50 Cent. Quite a lineup. FT: Yeah, I think it’s a stellar cast. And that kind of shows you that the movie in itself is great, because all of these people did gravitate towards the script. That’s what I like about it. It’s not just [action]. Yeah it is all of that, but as I said it has more to offer. CL: You’re saying it cuts deeper than just a purely action-driven movie? FT: Exactly. And you can watch it for that purpose only and come home completely satisfied. But I like that it has more layers to it than just that. CL: Switching gears, you’ve done a lot of one-off TV roles over years but have had a couple recurring roles more recently. FT: There were two, I had two seasons of Dallas that I just finished, so that was a recurring role. I have done three seasons of the sci-fi show Warehouse 13, which we are going to go into the last season of this year. So that’s been a recurring role. So yeah, they’re definitely there. CL: Any thoughts on the differences between TV acting and feature film acting, from your perspective? FT: I think that’s an interesting question, because people ask once in a while, “What do you like: theater, film or television?” The way I look at it is there are stories that are best told on stage because they need that audience connection in that room. There are other stories that are great on TV, because you have the challenge of sustaining a character over many episodes or years. Film lends itself to this amazing grandeur. You can’t help but get transported into this whole other reality and be part of it. CL: So you kind of adjust your approach as needed, based on the medium? FT: The way I look at it, not that I think of myself as some amazing artist, but I give the analogy of a painter. Sometimes a painter will sketch, sometimes he’ll do an oil painting, other times a watercolor. It depends on what story you’re telling and what’s the best medium for that story. Similarly I think, film, television, stage – the same thing. It depends on the conceit of the story and what you’re trying to achieve with it. And you have to approach it from that point of view. The tools are the same. The approach is a little different. CL: You have that immediacy when you’re in front of a live audience in a theatre. FT: When you get on stage, you go from A-Z in three hours, nothing can stop you. Film, television, it’s a different challenge. Sometimes you do an emotional scene and you have to do it six times and find the same intensity and truth in your acting as in the first time. We thank Faran Tahir for his time. Please head over to The Morton Report for much more of my interview. Elysium opens nationwide August 9, 2013. Escape Plan hits theaters on October 18, 2013.